By ALEX WILLIAMS SEPT. 6, 2016 NEW YORK TIMES ONLINE. These days, vintage watches are hot enough that some aficionados treat their collections like 401(k) accounts: a great way to build for retirement. But with prices spiking, the level of risk is shooting up, too. Even experts can get stuck with bad merchandise if they are not careful. 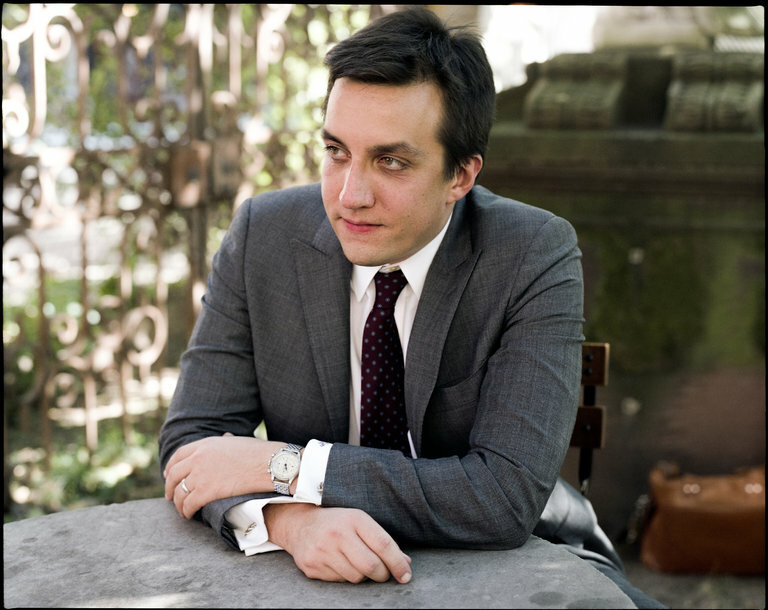 Eric Wind, a vice president and the senior watch specialist at Christie’s New York and a longtime contributor to Hodinkee, the watch blog, discussed the new rules of buying vintage. What is driving the vintage watch boom? There are two main factors: scholarship and social media. By scholarship, I mean blogs like Hodinkee, collector forums and auction houses. Instagram has also drastically changed the field. Watch-collecting used to be a private affair, but now you have tens of thousands of watch collectors showing off their watches and millions of people following them. What is that doing to the market? There are so many more people chasing vintage watches today, particularly in that sub-$10,000 price category, and prices on some models have jumped many times in value in just a few years. I remember two pretty nice Universal Genève “Nina Rindt” Compax chronographs from the 1960s that sold for $2,310 and $2,550 in 2011 on eBay. In our December auction in New York, we sold one for $47,500. Is it crazy to buy a vintage watch on eBay? For someone with little to no knowledge, it is the Wild West. Many people falsely believe a 100 percent feedback means a seller is legitimate. For some reason, many of the most egregious sellers of fake vintage watches have feedback history of 100 percent after hundreds of transactions, perhaps because people buying the watches did not know what they were buying. Still, once you have more advanced knowledge, eBay can be a great source for vintage watches, particularly in the lower end. What are the odds you’ll end up with a fake? 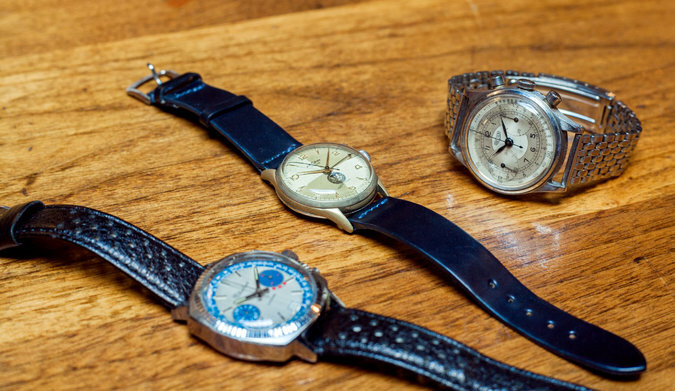 The field of vintage watches is a minefield. Even prominent and respected dealers, and auction houses, have been sued for selling watches somewhere on the spectrum from fake to “Frankenwatches” [watches with mismatched parts] to watches that have had restoration that was not disclosed. Is restoration a bad thing? One of the paradoxes in watch-collecting is that the more a person “took care” of the watch over time by having it serviced, the more likely it is less desirable and valuable today. In other words, collectors are willing to pay a premium for a watch that shows its age? The dream for collectors is to find a vintage watch in brand-new, never-worn condition in the original box with all the original paperwork — a very unlikely thing. Otherwise, collectors tend to value honest and original patina. A major trend in vintage Rolex collecting has been the explosive growth in demand and value for watches with black dials that have turned brown or “tropical” due to intense exposure to the sun and heat. A vintage Daytona with a tropical dial could be worth as much as five times the normal version. And because of that, there are those who seek to use artificial aging processes, such as intense ultraviolet light exposure. Who can you trust? It is important to not just rely on one person or outlet for advice, but to try to get advice from a number of experts. Forums like OmegaForums.net, OnTheDash and Vintage Rolex Forum are great places to post photos and details of a watch and see how other collectors assess it. We know about vintage Rolexes. What else is hot now? Four models that have definitely become hot over the last year are 1960s Heuer Autavias, 1950s and 1960s Omega Speedmasters, 1960s Universal Genève “Big Eye” Uni-Compax chronographs and 1940s through 1960s Gallet Flying Officer chronographs. What’s the best deal you ever got? I bought a Heuer “White Orange Boy” Autavia, reference 1163, from a small auction house for about $3,900. A little over a year later, I sold it for $15,000 to pay for the birth of my son and associated expenses. I miss the watch but would make the trade again any day.